There’s only so much to be said about Dr. Conrado S. Dayrit. With numerous well deserved accolades and a vast contribution to the study of coconut oil, he is man worth idolizing. Even at a young age, he was talented and driven that he devoted his time to further his violin skills and studies. He went on to receive the best education that can be given at that time. After earning his medical degree, he proceeded to advance his knowledge by studying overseas and doing research related work. A person can only so much as know what is there before him. Scientists such as Dr. Dayrit are mankind’s explorers in the realm of knowledge. They dedicate their lives for a journey into mystery uncovering knowledge bit by bit giving mankind the means to better itself. Are they heroes? That’s debatable. But there’s no doubt Dr. Conrado S. Dayrit has done a great service to the Filipino people. Dr. Conrado Singian Dayrit was a Filipino doctor, pharmacologist, cardiologist, medical professor emeritus at the UP College of Medicine, Lux-in-Domino Awardee, founder of many medical institutions, president of the Our Lady of Guadalupe Colleges, emeritus editor in chief of the Philippine Journal of Internal Medicine, board member of the Philippine Institute for Pure and Applied Chemistry in Ateneo de Manila University, medical director of a hospital, violinist, and an Academician of the National Academy of Science and Technology (NAST) (Dr. Bruce Fife, Healthy Ways Newsletter, N.D.). The “Father of Virgin Coconut Oil (VCO)” was born on May 31, 1919 in Manila. His father was Conrado Sr. who worked with the Bureau of Public Instruction, while his mother was Eufronia Singian (Alex Castro, Views from the Pampang, blog posted August 21, 2013). He was an only child. His own family consisted of his wife, Milagros Millar of Lucena, Quezon City, whom he married in the year 1949, and his children Manuel, Conrado III, Antonio Fabian, Eduardo, Rafael, Ignacio, Francis and Regina (de la Torre et al. 2009, 92). According to his son Dr. Fabian “Toby” Dayrit who was the former dean of the Ateneo’s School of Science and Engineering (SOSE) and current president of the Integrated Chemists of the Philippines (ICP), even from the start Dr. Dayrit’s passion was to become a doctor, which led him to pursue this challenging career (Jaclyn S. Escaño, ICP, posted on September 5, 2012). At the age of 9, he started taking violin lessons. He actually wanted to join their school band, but since they did not have an opening for his instrument, he ended up playing the drums. Still, he continued to master the violin even up to the time when he was already serving as an intern. A lot of patients even thanked him for the soothing music that they always heard coming from the intern’s dormitory (Alex Castro, Views from the Pampang, blog posted August 21, 2013) (Dr. Bruce Fife, Healthy Ways Newsletter, N.D.). Dr. Conrado was also a true-blue Atenean. Throughout his elementary, high school and undergraduate years, he attended the “blue school” which was and still is regarded as one of the best educational institutions in the Philippines. After, he enrolled at the University of the Philippines to take up medicine. In the year 1943, he got his medical degree and passed the board as the topnotcher (Alex Castro, Views from the Pampang, blog posted August 21, 2013). Dr. Conrado S. Dayrit is a heart specialist, medical researcher and a professor of medicine. He is a native of Pampanga but he finished his elementary, high school, pre-med and associate degree at Ateneo de Manila University (Soriano et al. 1981, 125). He then enrolled in the University of the Philippines and earned his medical degree in 1943. He was a consistent honor student and was no. 3 in class. He was top 5 in the medicine board exam and was immediately hired as an assistant professor at the UP College of Medicine, Department of Pharmacology (Alex Castro, Views from the Pampang, blog posted August 21, 2013). 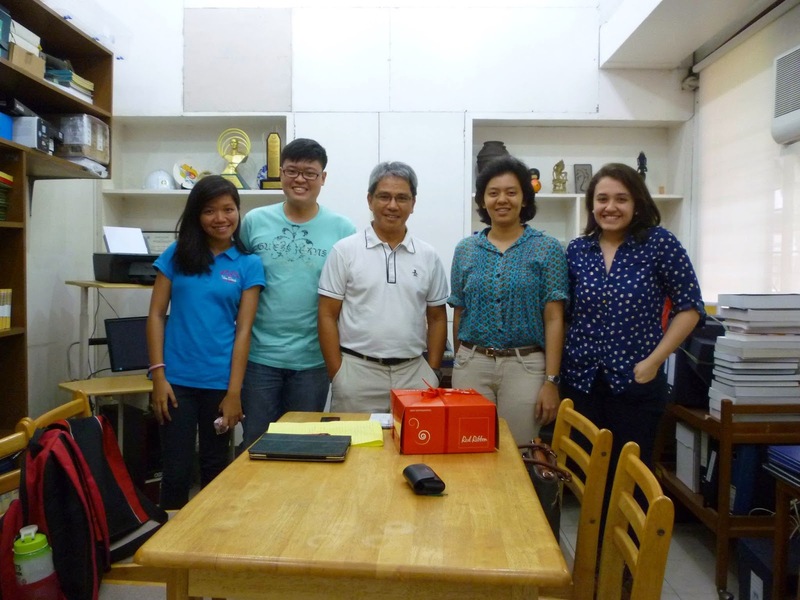 Dr. Dayrit was also appointed as secretary of the college (Soriano et al. 1981, 125). He also took up graduate studies under a W.K. Kellogg Foundation research scholarship and stayed in the United States of America for two years (Alex Castro, Views from the Pampang, blog posted August 21, 2013). For his post-graduate studies, he took up basic pharmacology studies at the University of Michigan Medical School, U.S.A. While he was studying here, he researched on chlorinegic mechanism and became interested in biochemical pharmacology, a field that was unheard of in the Philippines at that time (de la Torre et al. 2009, 92-95). Still not satisfied with what his academic achievements, the following year, he took up clinical pharmacology at the Cornell University Medical School where he did original work on digitalis glycosides (de la Torre et al. 2009, 92-95). Years later, he obtained further training in clinical pharmacology at Rochester University and became an exchange professor at the Kansas University Medical Center (de la Torre et al. 2009, 92-95). When he went back to the Philippines, he became a physician at the Philippine General Hospital and focused on outpatients with cardiovascular problems (Alex Castro, Views from the Pampang, blog posted August 21, 2013). This inspired him to found the Philippine Heart Association (PHA). Thus, in 1952, Dr. Dayrit was one of the founding fathers of PHA, the others were two cardiologists from UP and three from the University of Santo Tomas (Alex Castro, Views from the Pampang, blog posted August 21, 2013). He was a member of the PHA Executive Committee from 1952 to 1958 (Alex Castro, Views from the Pampang, blog posted August 21, 2013). He was also a member of the team that performed the first open heart surgery at the Philippine General Hospital in 1953 (de la Torre et al. 2009, 92-95). In 1955, he resumed his teaching at UP. He also became the officer-in-charge of the UP Department of Physiology and emeritus professor of pharmacology at UP College of Medicine (Alex Castro, Views from the Pampang, blog posted August 21, 2013). 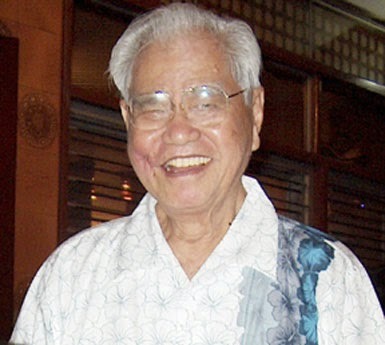 He also got involved in many team-up researches such as setting standards for sodium and potassium levels in the human heart of Filipinos, establishing the full digitalizing dose for Filipino cardiac patients so critical in successful therapy and investigating on “chorella” found to have high protein content (de la Torre et al. 2009, 92-95). In 1963, he also made a study with Dr. Ramon Abarquez on the effect exercise electrocardiogram to diagnose heart patients (de la Torre et al. 2009, 92-95). They were awarded with the Republic Cultural Heritage Award for this study (de la Torre et al. 2009, 92-95). During this time, he joined an all Filipino private drug company and put up the first private medical research laboratory (de la Torre et al. 2009, 92-95). He stayed long in this company which is now known as the United Laboratories (UNILAB) and was involved in the formulation of several innovative drugs such as Alaxan and Enervon-C (de la Torre et al. 2009, 92-95). He has also held many positions in different medical societies. He was a member of the Asian Pacific Society of Cardiology, Cancer Society and Manila Medical Society (Alex Castro, Views from the Pampang, blog posted August 21, 2013). Dr. Dayrit is known as the Philippine’s father of virgin coconut oil (VCO). But when did his advocacy on coconut oil start? Dr. Dayrit said that, “as early as 1960, when I wrote an editorial entitled, ‘Coronary Heart Disease and our Coconut Industry’ in the Journal of the Philippine Medical Association” (de la Torre et al. 2009, 92-95). Dr. Dayrit establishes the uniqueness of the health effects of coconut oil. He asserts that coconut oil does not cause heart disease and that it may even prevent heart disease. Based on his research, he claims that people who take the highest amount of coconut oil are the ones without heart disease. Dr. Dayrit also adds that, “Coconut oil has been proven to possess a wide spectrum of anti-microbial activity. It has been able to kill lipid-coated viruses like HIV and probably the bird flu and SARS and grand positive bacteria, including TB bacilli and many others” (de la Torre et al. 2009, 92-95). The international market has shown growing interest in VCO and is now becoming popular in the local market as well. According to Dr. Dayrit, researches on the development of scientific product standard for VCO needed a lot of funding (de la Torre et al. 2009, 92-95). It may need something like the Philippine National Standards for VCO because standards are necessary to differentiate VCO from adulterated, refined, bleached and deodorized coconut oil (de la Torre et al. 2009, 92-95). Dr. Dayrit, then a member of the Board of Trustees of the Philippine Coconut Research and Development Foundation (PCRDF) led the Department of Health (DOH) in 2000 to study the anti-HIV effects of coconut oil. Because of Dr. Dayrit’s achievements in both his academic and professional careers, many were asking what his secret was or did he have any magical formula. Dr. Dayrit’s answer was, “I work hard. When I was just starting, I would work from seven in the morning until late in the evening. Up to now I am working although I have cut down on some activities” (de la Torre et al. 2009, 92-95). His tenacity of spirit, perseverance in the midst of adversities, his dedication and commitment to his profession and even his love for books ever since childhood had all contributed to his success (de la Torre et al. 2009, 92-95). The crusade on the health benefits of coconut oil has suffered a setback with the death of Dr. Dayrit on October 6, 2007. He died at Victor Potenciano Medical Center where he also became a medical director. But his contribution to the medical field has been recognized by many institutions. Ateneo de Manila University awarded him the Lux-in-Domino Award for his scholarly work and Catholic ideals he had shown in his professional and personal life (de la Torre et al. 2009, 92-95). The biggest and most well-known contribution of Dr. Dayrit is his research on Virgin coconut oil, its numerous benefits, and potential cure for different diseases (Chua, posted July 21, 2006). He debunked the popular myth on coconut oil as a cause of coronary heart disease (Chua, posted July 21, 2006). Not only that, he was able to prove the health benefits of coconut oil, among which are prevention of heart disease, anti-microbial capabilities, ability to destroy disease-causing virus, bacteria, and fungi, and strengthening of the immune system (Fresco, posted July-September 2003). He was able to establish the fact that coconut oil is a “natural fat burner” and an energy booster, and it can be taken on a regular basis without harmful effects (Fresco, posted July-September 2003). During the course of his lifetime, he was able to publish several books and journals on his research on coconut oil, among which are: “Truth about Coconut Oil: The Drugstore in a Bottle”, “Coconut Oil: Atherogenic or Not? (What therefore causes Atherosclerosis? )” (Dayrit, posted July-September 2003), “Coconut Oil in Health and Disease: its and Monolaurin’s Potential as Cure for HIV/AIDS*” (Dayrit, N.D.), and many others. In total, Dr. Dayrit has produced at least 70 publications one of which is his study of nightmares (Alex Castro, Views from the Pampang, blog posted August 21, 2013). Along with his research, he was also able to promote coconut oil despite the deterioration of coconut industry in the country during his time due to land conversion for industrial uses (Chua, posted July 21, 2006). Aside from working on the benefits of coconut oil, he was an important contributor to the advancement of various fields of medicine such as nutrition, tuberculosis control, analgesics, anti-inflammatories, and anti-cancer medications (Chua, posted July 21, 2006). Dr. ConradoDayrit’s contributions in the field of medical research have made him one of the most notable researchers in the country. In line with this, he received various awards including 1st and 2nd prizes for the 1954 and 1955 Manila Medical Society Research Award for Basic Science and Clinical Researches, Best Papers Read at the 49th Annual Meeting of the Philippine Medical Association (Alex Castro, Views from the Pampang, blog posted August 21, 2013). Moreover, in 1955, the Sunday Times Magazine recognized him as “The Most Outstanding Young Man In Science” (Alex Castro, Views from the Pampang, blog posted August 21, 2013). He also received the Republic Cultural Heritage Award in 1963. In 1977, he was honored with a Gregorio Y. Zara Award in Applied Science by the Philippine Association for the Advancement of Science (Alex Castro, Views from the Pampang, blog posted August 21, 2013). 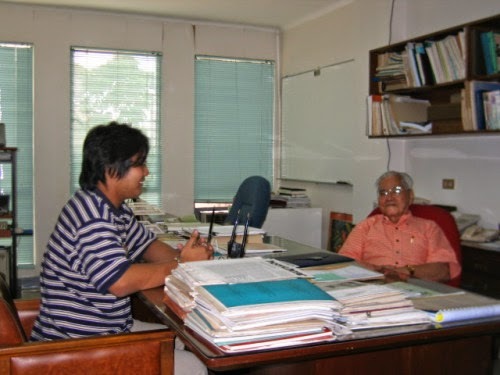 On July 25, 2006, he was given the Lux-in-Domino Award by the Ateneo de Manila University (RaffySadana, Farewell Dr. ConradoDayrit, 88, blog posted October 14, 2007). The Lux in Domino Award is exclusively given to ranks of alumni of the Ateneo de Manila University who have done extraordinary achievements in both life and work in an outstanding and exemplary manner (Ateneo de Manila University website). In the same year, he received the GintongAklat Award in Natural Science Category, the 25th National Book Award in Medicine and Health Category for his remarkable book, “The Truth About Coconut Oil: The Drugstore in a Bottle” (“Health Sciences Division”). Chua, Michael Charleston. 2013. PAGGAMOT SA GITNA NG PAGGAHASA: Ang mga Pagamutan Bilang Pook ng Brutalidad at Kabayanihan Noong Labanan Para sa Liberasyon ng Maynila (3 Pebrero – 3 Marso 1945). http://xiaochua.net/2013/02/03/. May 22, 2013. Dayrit, Conrado S. 2003. Coconut Oil: Atherogenic or Not? (What therefore causes Atherosclerosis?). http://coconutoil.com/DayritCardiology.pdf. May 22, 2014. Dayrit, Conrado S. N.D. Coconut Oil in Health and Disease: its and Monolaurin’s Potential as Cure for HIV/AIDS. http://www.coconutoil.com/Dayrit.pdf. May 22, 2014. Dayrit, Conrado S. 2002. History of Philippine, medicine, 1899-1999. Lungsodng Pasig:Anvil Publishing, Inc.
De la Torre, Visitacion, and Ledesma, Genevieve. 2009. Outstanding Filipino Achievers. Las Piñas, Philippines: Southville International School and Colleges. Fife, Bruce. 2007. Ask Dr. Coconut TM. http://www.coconutresearchcenter.com/hwnl_4-3.htm. May 22, 2014. Fresco, Mary Charlotte. 2003. Scientist Reveals Amazing Facts about Coconut Oil. http://www.bar.gov.ph/digest-home/digest-archives/92-2003-3rd-quarter/3269-july-sep03-scientist-reveals-amazing-facts-about-coconut-oil. May 22, 2014. National Academy of Science and Technology and National Science Development Board.1981. National Academy of Science and Technology. Saldaña, Rafael. 2007. Farewell, Dr. ConradoDayrit, 88. http://raffysaldana.blogspot.com/2007/10/farewell-dr-conrado-dayrit-88.html. May 22, 2014. Soriano, D.H., and Retizos, Isidro. 1981. The Philippines Who's Who. Manila, Philippines: Who's Who Publishers. ___________. 2012. Conrado M. Dayrit. http://www.geni.com/people/Conrado-M-Dayrit/6000000011444814346. May 22, 2014. ___________. Lux Domino Award. http://www.ateneo.edu/lux-domino-award. May 22, 2013.